Volkswagen has won heart of a billion of automotive lovers with its Scirocco range. 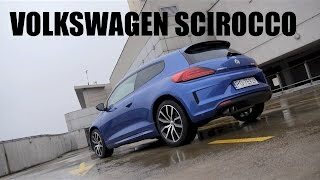 Coming for year 2015 it looks like with release of Volkswagen Scirocco 2015 range they have some big plans in list. Introduced with Scirocco, GT, R-Line and R Volkswagen is offering its buyers some distinct looks and power options. 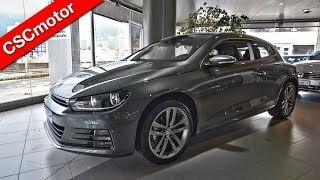 Let us have a look to what they have with release of this Volkswagen Scirocco 2015 what all they are bringing inside and out its hood. 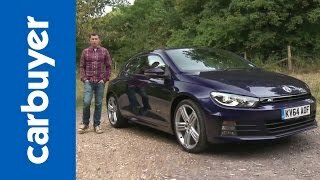 Inside the all new Volkswagen Scirocco 2015 you’ll notice some great features waiting ahead to treat you by coming as standard. The list begins with updated dashboard that includes new dials and instrument cluster with new feature right above the center console. The instrument cluster is more of a tribute to 1974 models through its chronometer, charge pressure and oil temperature gauges. Apart from its space and comfort few more technological features add to the glory of Volkswagen Scirocco 2015. The RCD 510 touch screen is gleaming part of it featuring, DAB digital radio, SD Card reader, USB connector and bluetooth. Few other features that add to comfort and safety are, automatic headlights and wipers, auto dimming rear view mirror and height adjustable sports bucket seats. Exterior of Volkswagen Scirocco 2015 since its release has been attractive in its segment and range. Holding resemblances with the recently seen Golf GTI; however getting a sneak we find all new LED headlights in front fascia with integrated indicators sitting above the all new bumper getting adored with aerodynamic blades proving their excellence. Marching towards the rear fascia of Volkswagen Scirocco 2015 you’ll notice reshaped bumpers adding bit to the aggressive looks of model. Just like the GTI Volkswagen Badge has been designed in a way to work as tailgate release handle. 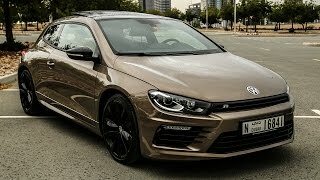 In all the entire exterior of Volkswagen Scirocco 2015 is distinct with its looks in comparison to its recently released siblings and predecessors. 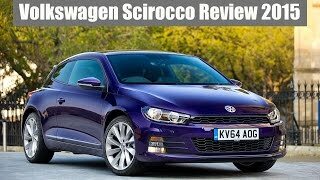 The Volkswagen Scirocco 2015 comes with 2 petrol engine and one diesel engine beneath its hood as options; giving buyers right to choose the perfect based upon its performance and there needs. The queue begins with basic 1.4 Liter TSI engine delivering 123 hp that offers combined fuel efficiency of 52.3 while the CO2 emission stand at 125 g/km. Second in list of petrol engines is a 2.0 Liter engine delivering 178 hp of total output. Last but not the least, in fact the most powerful in line up and seconds in entire Scirocco range, a 2.0 Liter Diesel engine delivering 148 hp. All these engines are paired to six-speed manual transmission and come as an option to go for six-speed automatic, apart from the first in petrol range, 1.4 Liter which is only fitted with a manual transmission.